Chestnuts are all over the city now. Free food. Nutritious too. During this season we practically eat chestnuts almost every day at home, in every possible form: smoothies, desserts, stews, curries, soups, pancakes, bread, pastas… It is such a versatile ingredient that it is almost impossible to get tired of it. At every new recipe, chestnuts will perfectly blend in giving the dish a slightly sweet and creamy texture, helping to thicken sauces, balancing any bitter or acid flavours that would tend to dominate. Its high carbohydrate content makes up for a great grain replacer in meals, perfect for those avoiding gluten in their diets. Power food it is. 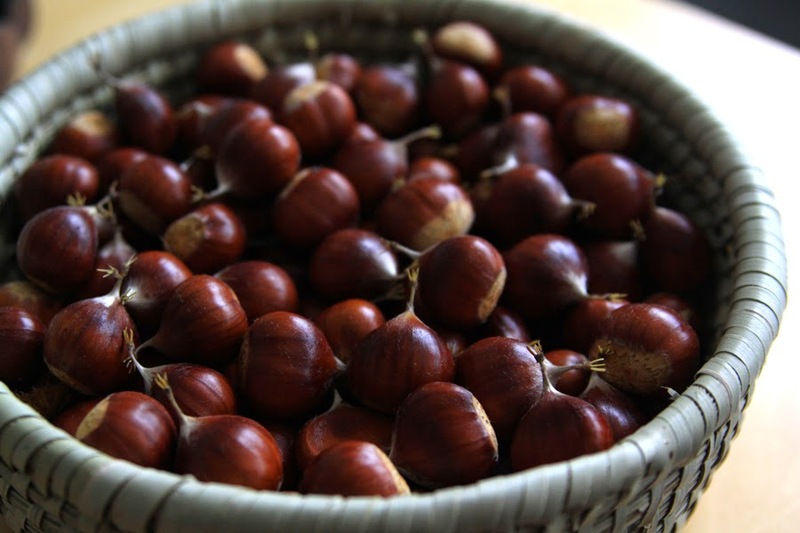 This is one of my favourite recipes with chestnuts. I love playing with various spices and herbs but feel free to use your own spices while making the tomato sauce that goes in this recipe. Add olive oil to a baking pan, add the caraway seeds and the mushrooms and champignons and stir fry them for 7-10 minutes. Cook the tomato pieces or passata with the spices in low fire for more or less 5 minutes. Add the seitan chunks, the chestnuts, slightly broken into smaller pieces and the mushrooms. 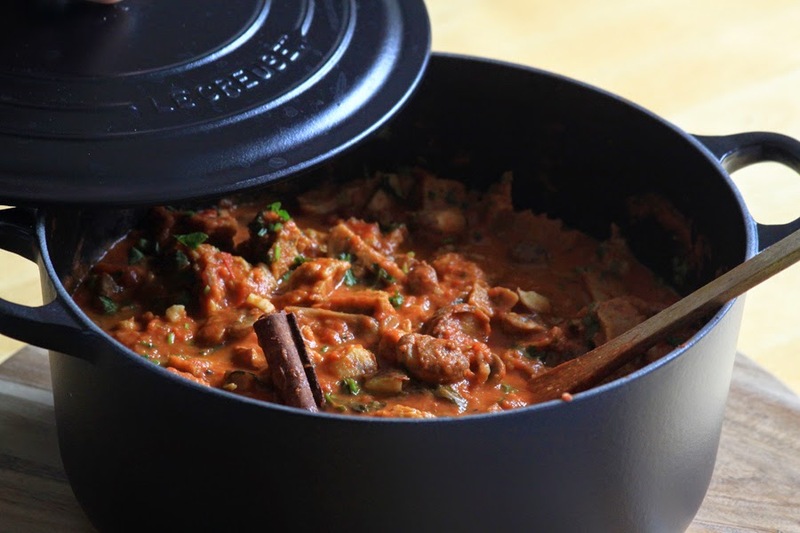 Leave it simmering in low fire with a lid for approximately 10 minutes. Add the coconut milk and the ginger and cook for 2 extra minutes. When ready, add salt, chilli pepper sauce and garnish with the fresh sage and cilantro. Remove the bay leaves before serving. 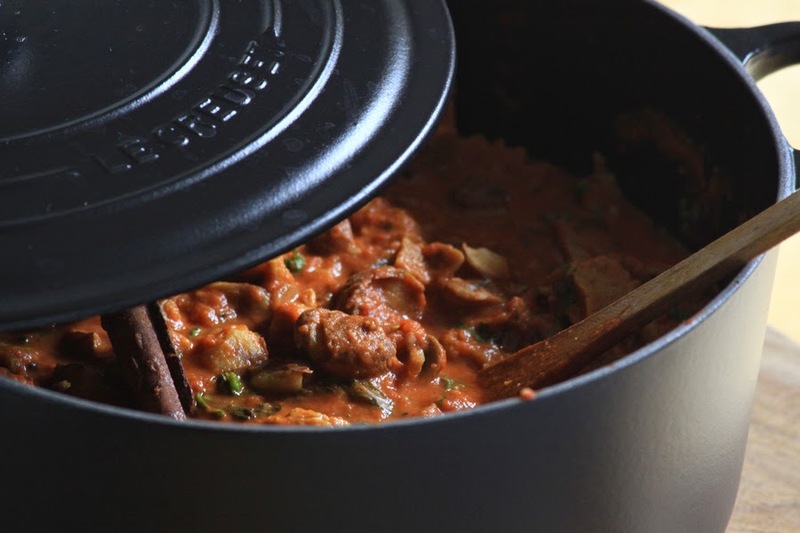 If you don’t have all the spices I used here, feel free to make your own tomato sauce with the spices and herbs of your own choice, add the coconut milk for the creamy effect and combine it with the mushrooms, seitan and chestnuts. It can be that simple.